When it comes to Gonzalo Menoyo, it’s all about the music… Throughout the years he has never ceased to amaze his fans and the industry. Working with zeal, passion and philosophy Gonzalo Menoyo is continuously looking for ways to bring his talent to a higher level. Not only is he one of Spain’s most talented international DJ’s, he has also booked success as an Art Director, record label Co-manager and Producer. His creativity, feel for music and unique style will unavoidably captivate you; be it during a live gig, through one of his radio shows or one of his meticulous productions. His sets are led by groove and rhythm; at times deep and underground, other times more fresh and tribal depending on the atmosphere he wants to create. Gonzalo Menoyo’s musical style identifies with the ’feeling’ he wants to put forward in his music by connecting with the people and bringing the focus back to the dance floor. Gonzalo will definitely make you move to the beat… Gonzalo Menoyo prefers to work with professional truths in both music and collaborations. Working internationally provides opportunities to further broaden his horizons. He understands the competitiveness, yet still chooses to follow his own ideals and style and has managed to maintain this with success while evolving over the years. ’Patience and a strong belief in what you want to bring across are the key to success… ‘. Gonzalo plays at top clubs in Spain’s major cities and at the finest clubs across the world. In addition he works with several of the most important radio stations in Spain and Europe where his sets are broadcasted in radio shows. He also received recognition of his achievements by ranking in the top 20 of Deejaymags DJ of the year 2008 election. Gonzalo Menoyo has explored more opportunities to broaden his horizons. He has successfully held a position as Artistic Director where he was responsible for the selection and management of the lineup and has been the co-manager of the label Clarisse Records (2006 - 2008) where he was partially responsible for the independent release of ‘Desperate’, which received very promising reviews from the industry. 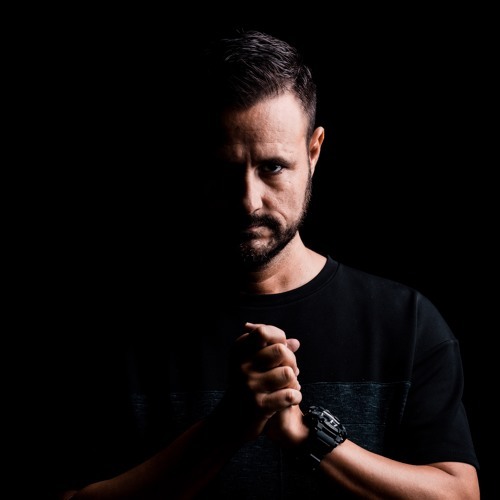 It was only a matter of time that Gonzalo’s talent would be recognized and he was soon approached by leading Spanish labels like Urbana Recordings, Factomania Digital and Iberican Recordings Digital, a sub-label of Stereo Productions to produce remixes for several of their artist’s releases. In 2008 he received worldwide support by radio stations as Hed Kandy (UK) and Radio FG (France) for his debut remix of Deux ‘The Time Is Now (To Celebrate Life)’, which reached the highest positions at the main online download stores. Since then he has produced eight remixes for artists Ismael Rivas, Paco Buggin vs Zhio and Antoine Clamaran. As predicted by the industry, Gonzalo Menoyo is someone to be reckoned with. He is continuously proving is talent and success in a most professional, astonishing and impressive way, while maintaining his creativity, passion and philosophy. Gonzalo is currently working exclusively on his own productions. Take notice as more surprising developments can be expected.